Bristol Who’s Who Recognizes Dr. Richard Evan Steele, M.D., M.P.H., P.D.C., B.C.S.P.H.M. Dr. Richard Evan Steele, M.D., M.P.H., P.D.C., B.C.S.P.H.M., is a highly accomplished clinician, public health specialist, educator, and keynote conference speaker. He is the Medical Director of Klinikken Livet Aps in Denmark. Also an author, Dr. Steele wrote a plan to improve medical and social care for the poor and underprivileged, as well as improve general public health, titled Managed Care in a Public Setting. The book gives practical guidelines for implementing managed care in health and social services, ensuring that each and every individual gets the care they need to optimize their ability to contribute honestly and meaningfully to the common good. Managed Care in a Public Setting is the first book of its kind, laying out a roadmap for what many have been talking about for years but haven’t achieved. This book was the main issue in Dr. Steele’s highly successful presentation at the 14th International Conference on Integrated Care in Brussels, Belgium. Dr. Steele specializes in long term care and internal medicine. He is an expert in training personnel, issuance of incoming contracts, managing personnel and planning, running and evaluating workshops, seminars and conferences. 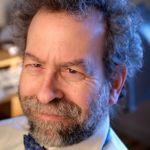 When it comes to academic and scientific works, in addition to Managed Care in a Public Setting, he has a long list of other publications, notably as co-editor of A Critical View of Medical Reasoning (1995). He is soon to publish his autobiography, and a new book, Pain, Depression, and Social Dysfunction, is in the works. Dr. Steele has amassed 22 years of hands-on clinical experience, most of it at senior clinical levels encompassing all areas of internal medicine as well as pediatrics and psychiatry. Furthermore, he spent 5 years as a medical consultant with a series of community social systems, and 3 years as chief of a mobile clinic. Topping off his postgraduate training, Dr. Steele holds a Master of Public Health degree as well as a Postdoctoral degree in Health Services Research and International Health System Comparison from the Johns Hopkins Bloomberg School of Public Health. Highly respected for his expertise, Dr. Steele has been inducted into the Delta Omega Alpha Honorary Public Health Society, the Kaplan Medical Society, the Danish Society for Integrated Care, which he chairs, the Danish group Spiritually Oriented Doctors, the International Foundation for Integrated Care, the Danish Medical Association, the Swedish Medical Association, the World Association for the Advancement of Low Level Laser Therapy and the International Association of Pain. 3. To become known as the “go to” rehabilitation expert – if he cannot see the best rehab plan for a given patient, no one can. Bristol Who’s Who member Dr. Richard Evan Steele, M.D., M.P.H., P.D.C., B.C.S.P.H.M. can be found on the Who’s Who Directory, where he is looking forward to networking with you.